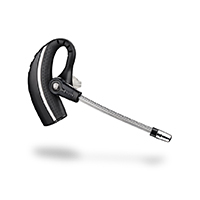 Home → News → 'Tis the Season to Get One Plantronics Wireless Headset Free! 'Tis the season to get one free! 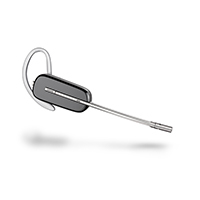 Through December 31, 2015, for every 10 Plantronics wireless headsets* of the same model you buy at your current cost, you will receive one additional headset for FREE! That's a huge savings if you're buying wireless for your office! Don't wait! Call us now at 800-641-6416 and mention coupon code "TISTHESEASON" to take advantage of this great offer. Need to upgrade but want to shop around a bit more? 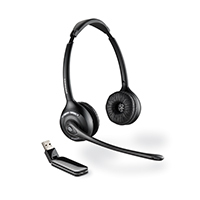 Check out the full Plantronics range online or Contact Us for expert advice. *Offer valid for orders of 10 of the same model of headset only. Qualified Products purchased and free product must all be the same model. The following models are eligible: CS500 family (CS510, CS520, CS530, CS540, including XD variants and CS545XD) and Savi family (Savi 410, Savi 420, Savi 430, Savi 440, Savi 445, Savi 710, Savi 720, Savi 730, Savi 740, Savi 745) with or without a lifter; includes Microsoft variants. Certain restrictions apply. Ask your Sales Representative to confirm details. Offer available in the US only. Not valid with any other offer.